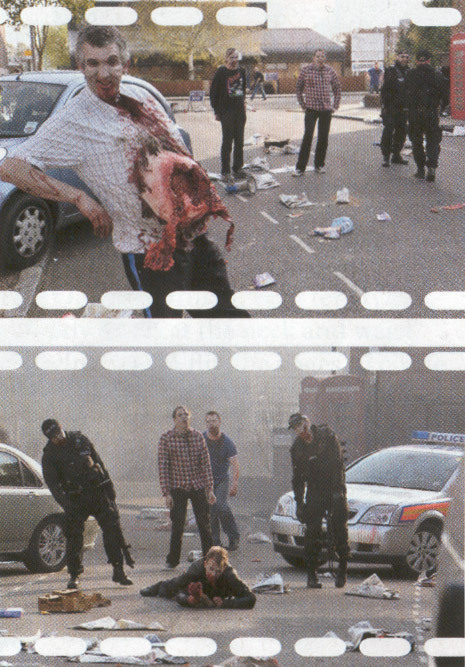 SFX magazine has released a Zombie Special today packed full of features and goodies related to the undead. 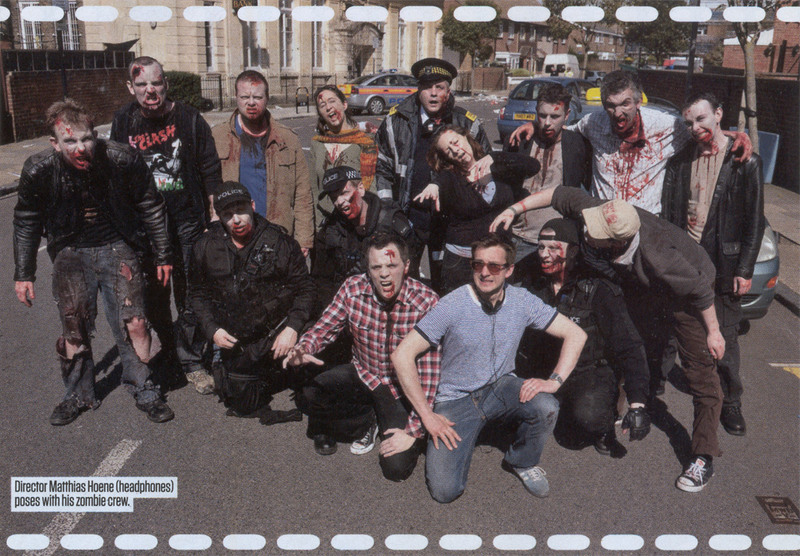 One feature entitled “I walked as a zombie” was written By Ian Berriman who was a zombie on the same days as me. 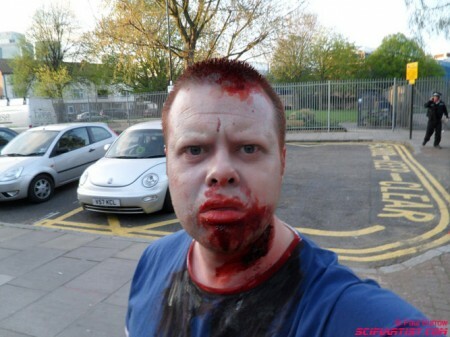 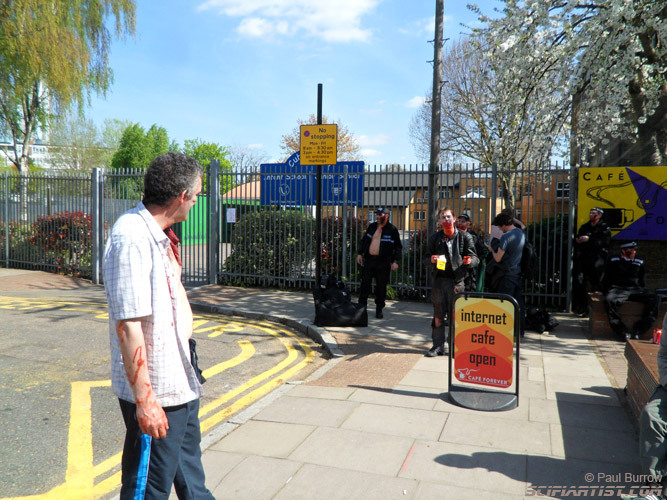 The article describes the day Ian had as a zombie extra, from start to finish. 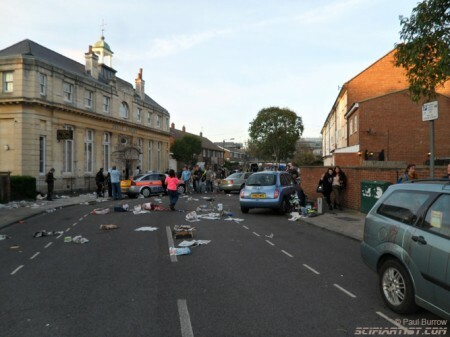 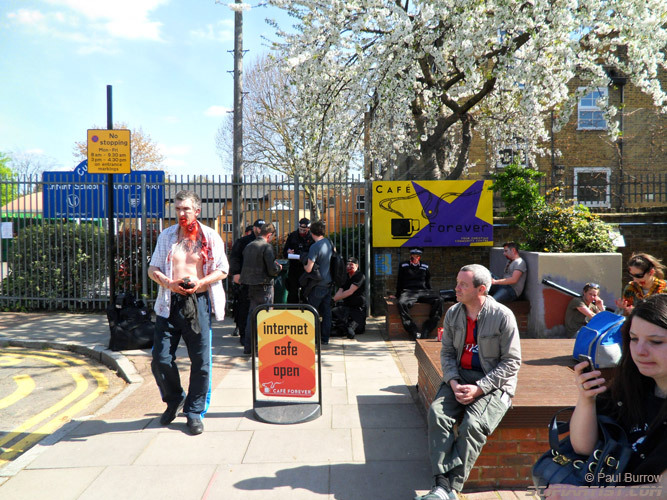 The picture below taken from the magazine shows our zombie group from the bank robbery scene. 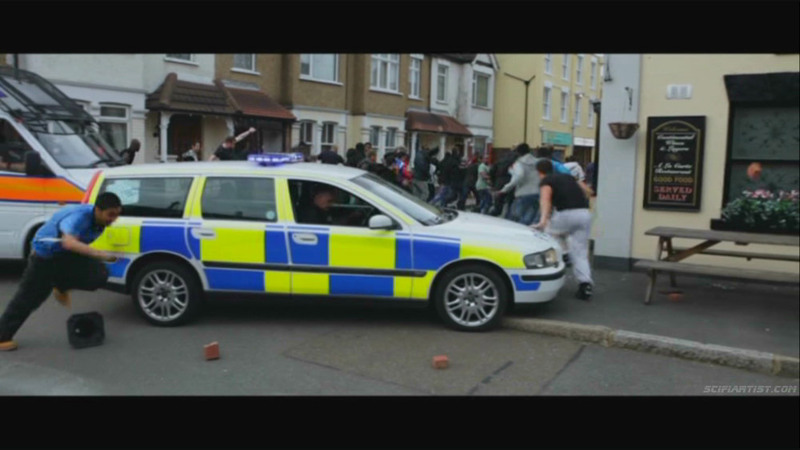 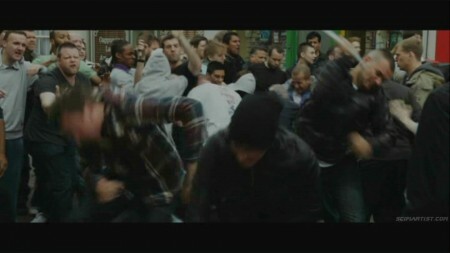 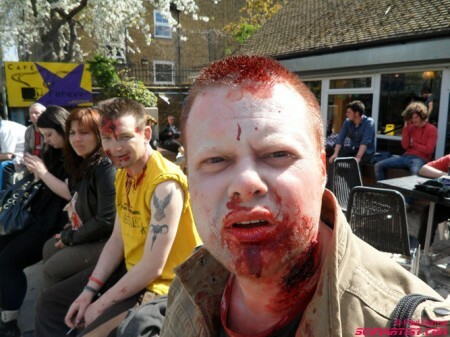 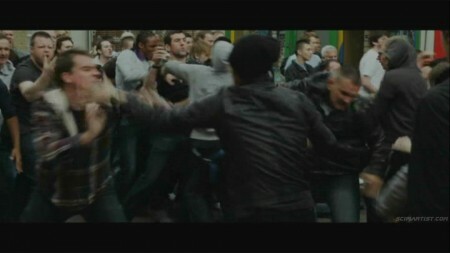 I’m the one at the back in the bloodied beige jacket. 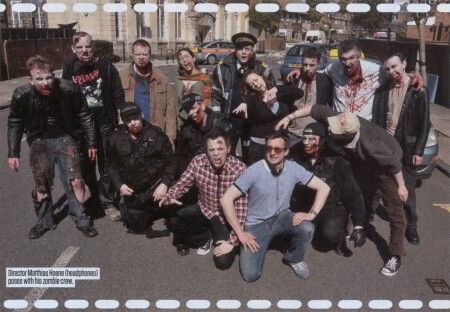 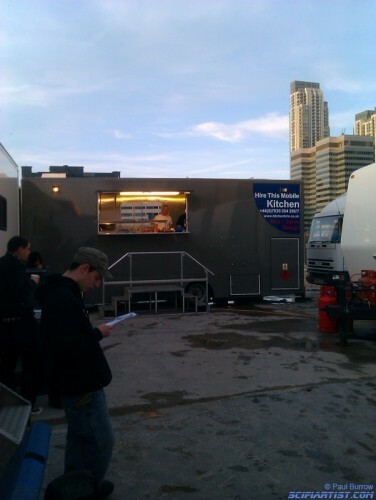 I’m in the 2 pics above also just in the blue T-Shirt :D. Still no sign of the elusive Michelle Ryan picture yet! 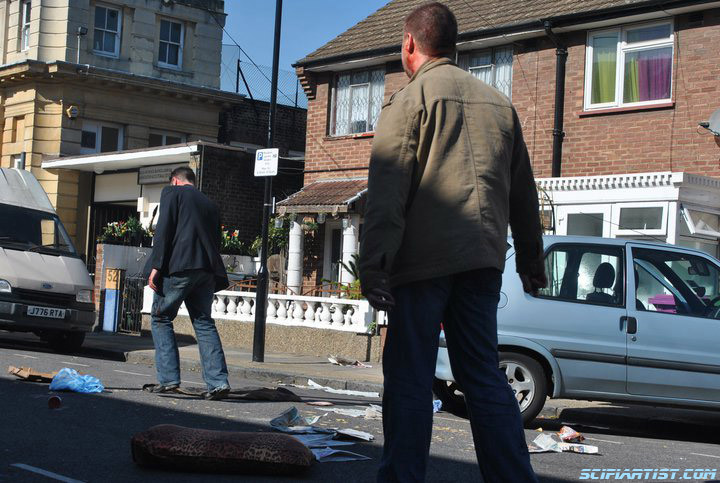 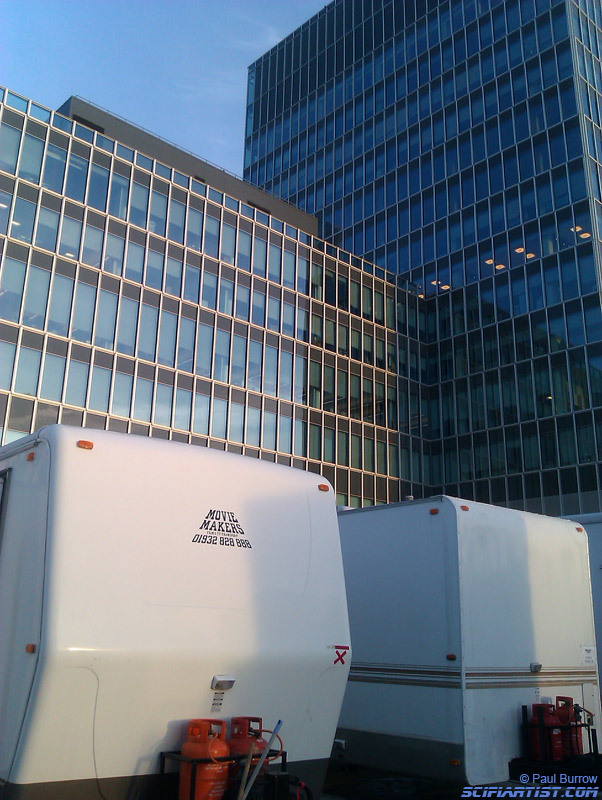 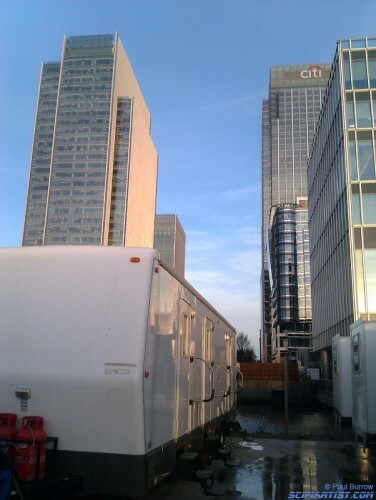 Photos from the article were taken on set by Owen Billcliffe. 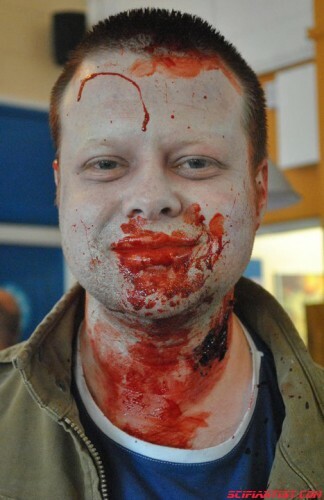 Click HERE to view his online portfolio.